Chic Alert: Designer Handbags Up To 75% Off! 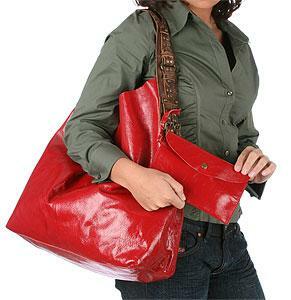 For a limited time only pick up women's designer handbags from SmartBargains.com at up to 75% Off retail!! Check out the impressive list of labels: Adrienne Vittadini, America's Favorite Designer, Aspects, AW Accessories, BCBG, Bottega Veneta, Calvin Klein, Castellari, Caterina Lucchi, Cavalcanti, Chiara Guia, Claudia, Cole Haan, Contemporary, Cynthia Rowley, Desmo, DX Touch, Eastbourne, Elena Girardi, Ellen Oberzeiser, Elliott Lucca, Emilio Pucci, Franco Sarto, Gianni Chiarini, Hype, Jack Georges, Judith Leiber, Kate Spade, Kenneth Cole, Kipling, La Regale, La Sera by Franchi, Liz Soto, Lovcat, Lucky Brand, Madi Pelleteria, Mapel, Marc by Marc Jacobs, Maxx New York, Mele, Michael by Michael Kors, Michael Rome, Missoni, Miu Miu, Nuovedive, Paravidino, Perlina, Prada, Pulicati, Ralph Lauren, Rampage, Regina, Renato Angi, Sapaf, Sisley, Steve Madden, The Sak, Tiffany & Fred, Tosca Blu, Vi Vi Vee.